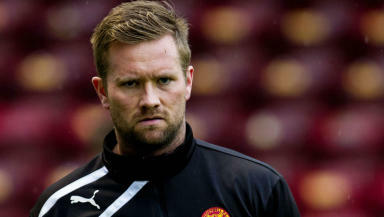 Ex-Motherwell man joins with injury crisis between the posts for Jambos. Hearts have signed former Motherwell goalkeeper Lee Hollis after a third shot stopper was injured in the space of a week. 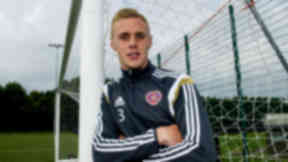 Hollis has penned a deal until January and will go straight into Hearts' squad to face Hibernian on Sunday. Head coach Robbie Neilson told the official Hearts website: "Lee's an experienced goalkeeper and has spent the last few seasons with Motherwell and has played in Europe for them." Second choice keeper Scott Gallacher could be missing for the Edinburgh derby after turning his ankle in training on Friday. That could have left head coach Neilson with just 20-year-old Jack Hamilton, who has yet to play a competitive game for the Tynecastle men, as cover. Hamilton was recalled from a loan at Stenhousemuir just this week after first choice goalkeeper Neil Alexander fractured his cheekbone in the opening day victory over Rangers at Ibrox. And recently recruited 17-year-old goalie Robbie Brown suffered a hamstring injury playing for the club's Under-20s earlier this week.